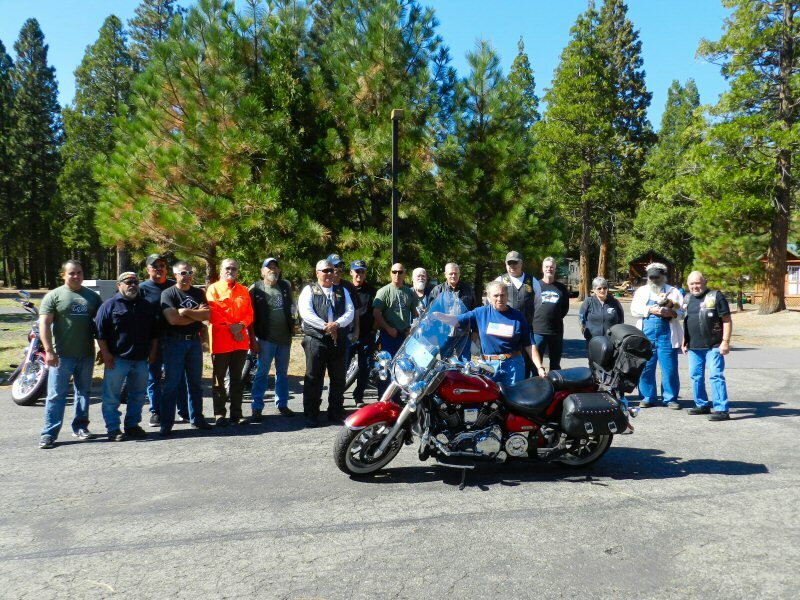 October 4, on a beautiful Sunday afternoon, 84 riders from the Redding area stopped for lunch at the Rancheria RV Park as part of a fundraiser for Homeward Bound Military. 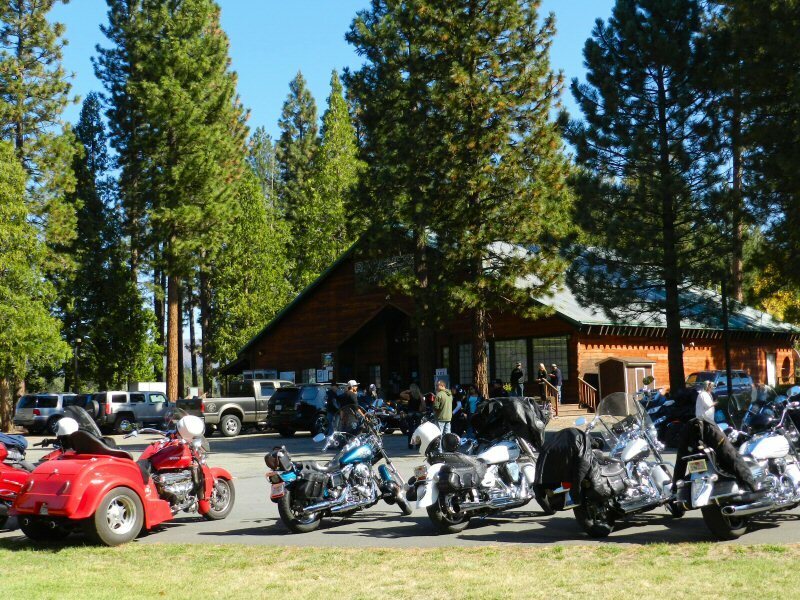 The Rancheria is located just off Volcanic Scenic Byway Hwy 89 between Hat Creek and Lassen Park. The event was organized by Steve and Paula McCarley, owners of Redding Yamaha Seadoo. Each motorcyclist paid $30 to participate in the ride. In return they received a shirt and lunch. In addition to the entry fees, several businesses also donated to the cause. 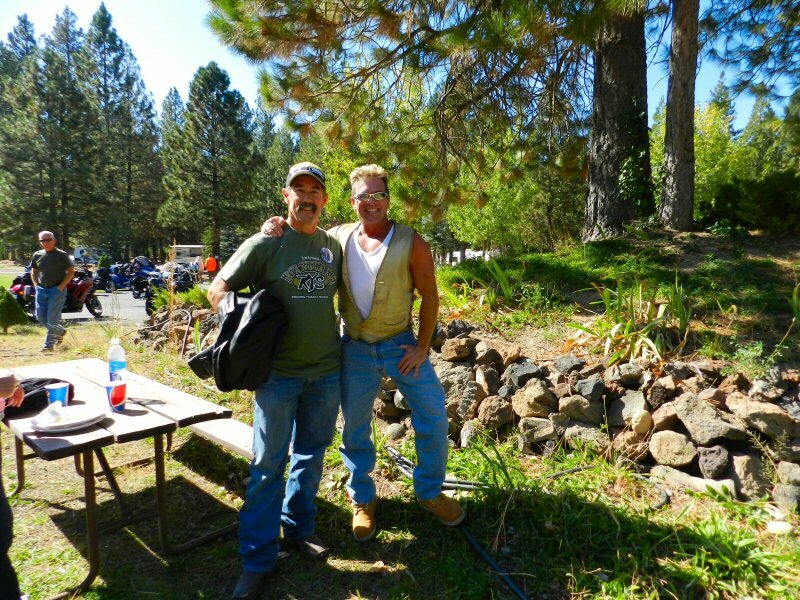 One of the major sponsors was Paul Emmett of Paul’s Plumbing, Heating, and Air Conditioning in Redding. Emmett also participated in the ride. The riders gathered at Redding Yamaha in the morning to begin the ride. Most of the riders came up Hwy 299, but some came up Hwy 44. 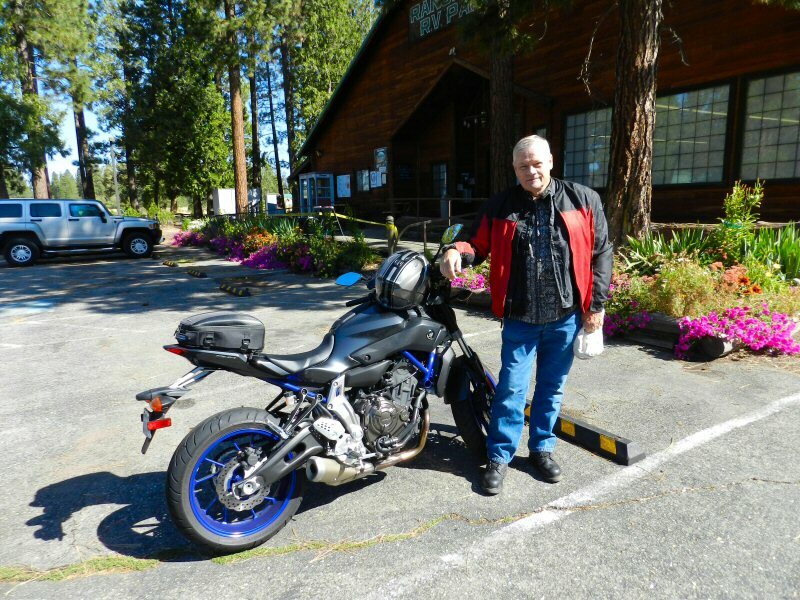 John Donaldson, whose son works at Redding Yamaha was the first to arrive. He said it was a chilly ride as he went through the high area by Lassen Park. By noon the parking area was full of bikes and everyone enjoyed mixing and mingling over a delicious hamburger lunch. In addition to the 84 registered riders, some sponsors and other supporters also came. 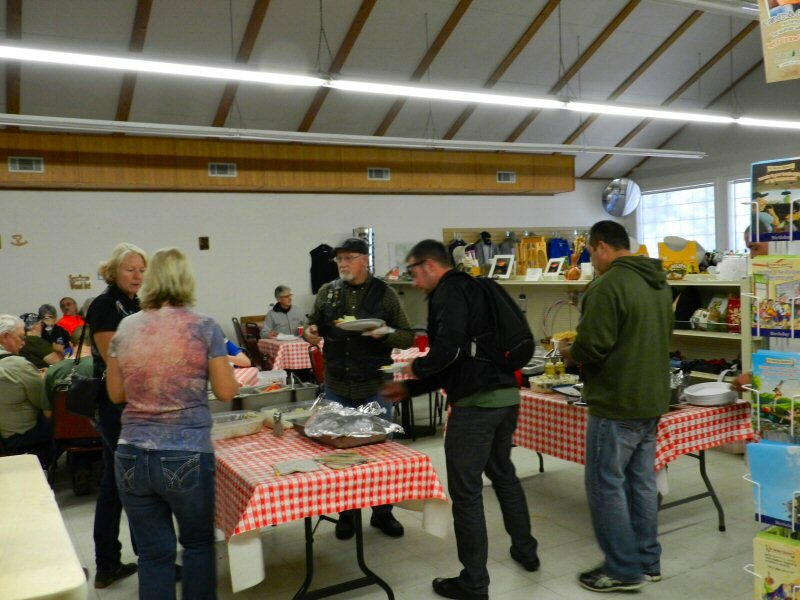 In total about 100 people attended and 96 lunches were served. This is the third year the bikers have held the event. The first year they raised $1000. The second year, the event raised $4200. This year the ride is expected to raise about $8000. McCarley said that Homeward Bound Military was selected to receive the proceeds because they have no paid employees and 100% of money donated goes to returning veterans and their families. 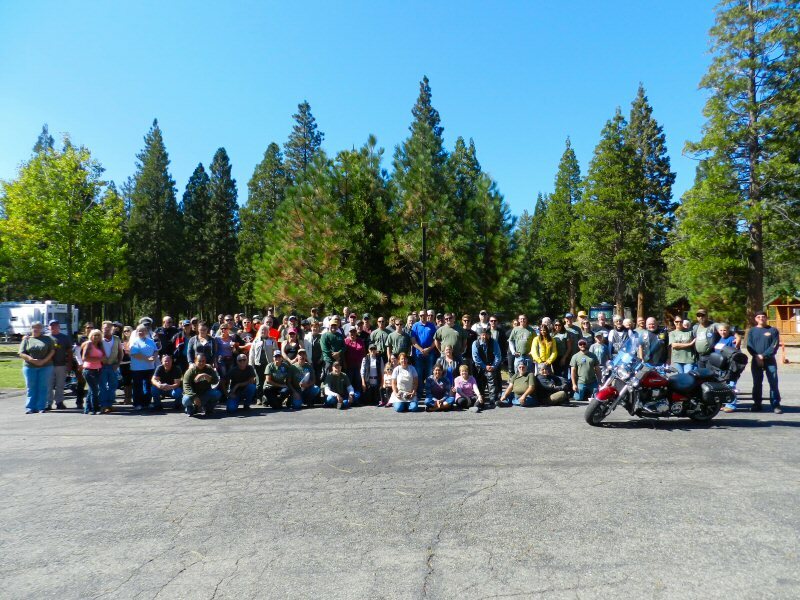 Before getting on the road for the ride back to Redding everyone gathered for a group photo. Afterwards all of the veterans who participated were recognized and honored.